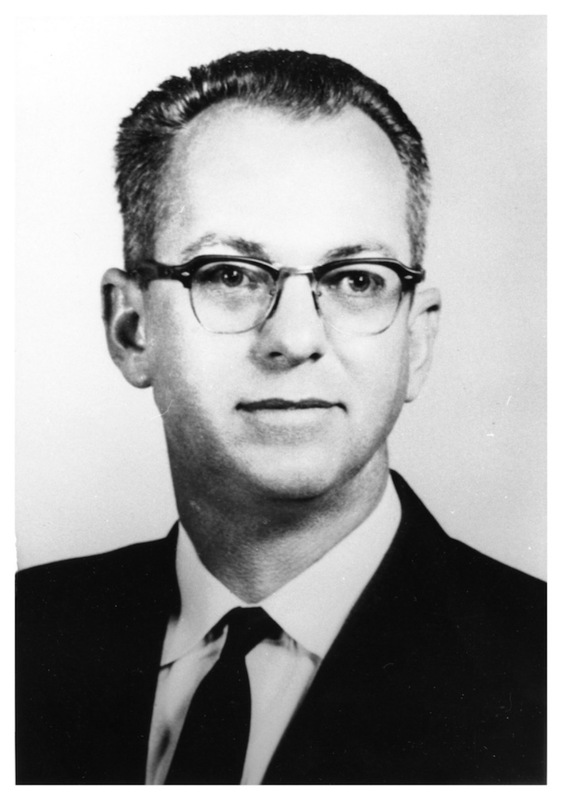 Journalist Erle E. Johnston Jr. gained his greatest fame as director of the Mississippi State Sovereignty Commission. Born on 10 October 1917 in Garyville, Louisiana, Johnston moved with his family to Grenada in 1928, graduated from high school there, and then was employed by newspapers in Grenada and Jackson before going on to work for and then buying the Scott County Times in Forest in 1941. Always interested in politics, Johnston ran James Eastland’s 1942 campaign for the US Senate and later worked on campaigns for other prominent Mississippi Democrats, including Fielding Wright, John Stennis, and Ross Barnett. In 1960 Gov. Barnett, hoping to strengthen the Mississippi State Sovereignty Commission, hired Johnston as the commission’s public relations director, replacing Hal DeCell. Johnston had the job of publicizing Mississippi to the rest of the country, especially by arguing that racial segregation was a positive aspect of society appreciated by both whites and African Americans within the state but misunderstood by many outsiders. Johnston set up a speakers’ bureau to send Mississippians to give talks before numerous groups outside the state and oversaw the production of a 1962 film, The Message from Mississippi, that showed residents speaking positively about race relations. In May 1962 Johnston surprised many defenders of segregation when he gave a commencement address at Grenada High School, “The Practical Way to Maintain a Separate School System in Mississippi.” Calling his approach that of a “practical segregationist,” Johnston criticized what he termed the extremism of both the National Association for the Advancement of Colored People and the Citizens’ Council and suggested obeying the law and cooperating with African Americans rather than threatening or intimidating those who tried to challenge the system. William Simmons of the Citizens’ Council condemned the speech as a type of surrender, and many supporters of massive resistance called for Johnson to resign or be fired. Instead, Barnett named Johnston director of the Sovereignty Commission, a position he held from 1963 through the turbulent mid-1960s. The commission opposed the Civil Rights Act and the desegregation of schools; investigated numerous activists, describing many of them as agitators, communists, and lawbreakers; sent informers to infiltrate civil rights groups; investigated activities at Tougaloo College; and sought to counter negative images of the state during Freedom Summer activities in 1964. Johnston continued to look for a way to oppose the civil rights movement without working with lawbreaking extremist groups. He criticized the Ku Klux Klan and the Americans for the Preservation of the White Race, suggested that the commission he ran might be doing public relations harm, and in 1965 gave a speech that encouraged young Mississippians to “profit by some of the mistakes made by my generation.” Amid debates about the future of the commission and his part in it, Johnston resigned in 1968. Johnston wrote three books showing his transformation from a firm supporter of massive resistance to someone who tried to understand a wider range of opinions. I Rolled with Ross: A Political Portrait (1980) told affectionate stories about Barnett as a campaigner, governor, and supporter of industrial development. Some stories were humorous, but the book clearly sought to praise Barnett’s character. It began with a statement from someone who heard a Barnett speech in 1979: “No man can make you feel prouder to be a Mississippian than Ross Barnett.” Johnston’s next book, Mississippi’s Defiant Years, 1953–1973 (1990), consisted of a narrative of civil rights activism and massive resistance taken both from Johnston’s experiences and from evidence from Mississippi newspapers. That book, with testimonials from a wide variety of perspectives, including those of Simmons, William Winter, John Salter, Neil McMillen, and with tributes to Aaron Henry and Charles Evers, made no attempt to defend massive resistance. In Politics: Mississippi Style (1993), Johnston told stories of state politicians’ conflicts, friendships, and campaigns. Johnston served as mayor of Forest from 1981 to 1985. He and his wife, Fay, had three children. Fay served as editor of the Scott County Times when Erle worked at other jobs, and their son held that position from 1979 until the Johnstons sold the newspaper in 1983. Erle Johnston died on 27 September 1995, soon after organizing a forty-year reunion of players from Mississippi’s Jones County Junior College and California’s Compton Community College who had participated in a 1955 football game in defiance of Mississippi’s rules about racial segregation.